“Cars 3” releases this week. In all honesty, the “Cars” franchise is the only Pixar franchise I haven’t liked. It’s always felt like a cash grab, but it’s giving me a great excuse to talk about one of my favorite film studios. I love Pixar films. They are full of heart, and each one is a truly inspiring. This is because each story revolves around a character that has everything going against them, and they still find a way to succeed. 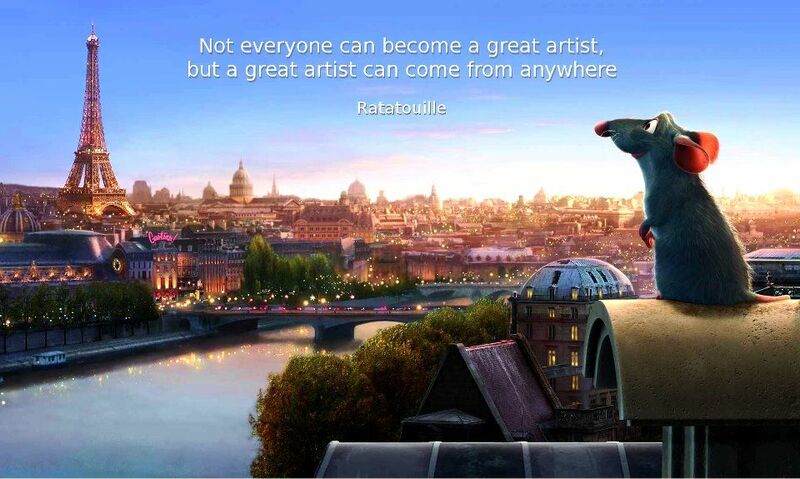 “Ratatouille,” by Brad Bird, is my favorite and is one of the few movies I can turn on any time and feel a sense of child-like wonder. Their story of success is in many ways a lot like the movies they create. Maybe that’s why they’re so good at making them. A company at the time, doing something nobody had done before, with all odds against them. Look at them now. Pixar has a great story, which would be too difficult to go over in one post, but here’s a glimpse for you. After losing $1 million a year for five years, [Steve] Jobs needed to see a return on his investment [in Pixar]. So Pixar put “Toy Story,” the first feature-length computer animated film ever, into production. “Some of us had never even worked on a movie,” Lasseter notes. Initially, Disney, which was to release “Toy Story,” imposed its ideas on the production to disastrous results. The first trial reel was awful, Roy Disney recalls. Only when Pixar animators tore up those notes and went with gut instincts did the production take off. The worldwide gross of $350 million by “Toy Story” (1995) lead Jobs to Wall Street where he raised $132 million through an IPO. That put Pixar on a firm footing and lead to a string of hits.